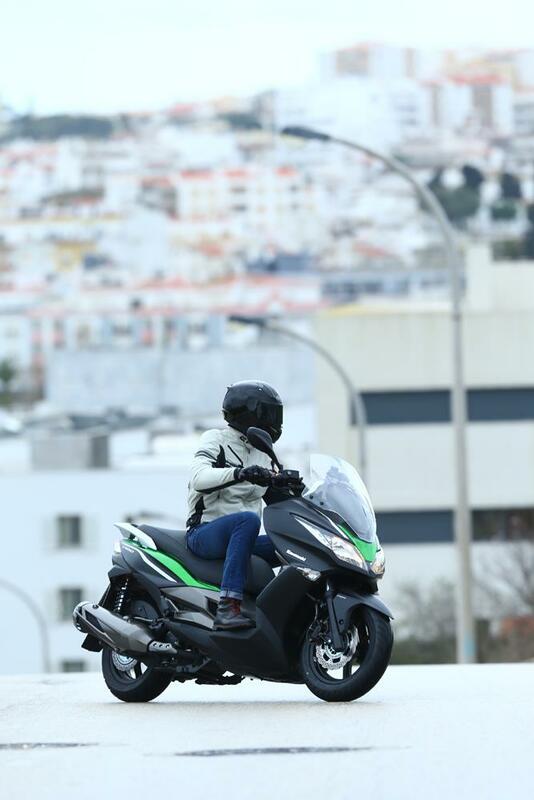 The J300 is an excellent entry into the competitive scooter market and shows the firm is really serious about the market. It's sits perfectly between lighter 125cc scooters and much larger and heavier maxi scoots, combining a good spread of power with good, easy handling. As you'd expect from a scooter the ride is plush without being too soft and at 191kg it's not too heavy to throw around mini roundabouts and between cars. Out on the open road it's surprisingly fun and easy to ride. The saddle is very plush and after a full day of riding was still comfy. 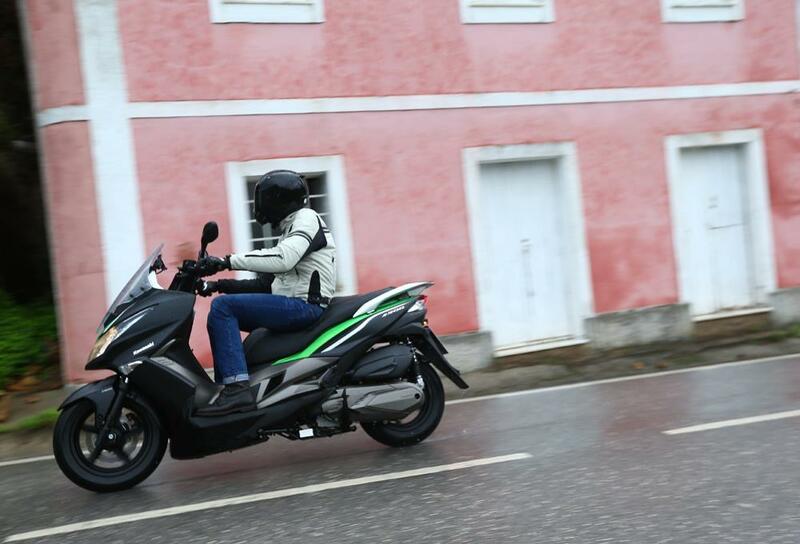 Despite 'only' making 27bhp the 299cc single-cylinder engine in the J300 has plenty of go. It's easy to overtake uphill at 70mph and it'll happily sit at 80mph without any trouble. There's enough punch from the engine to make light work of dicing between cars and getting away from the lights in town. 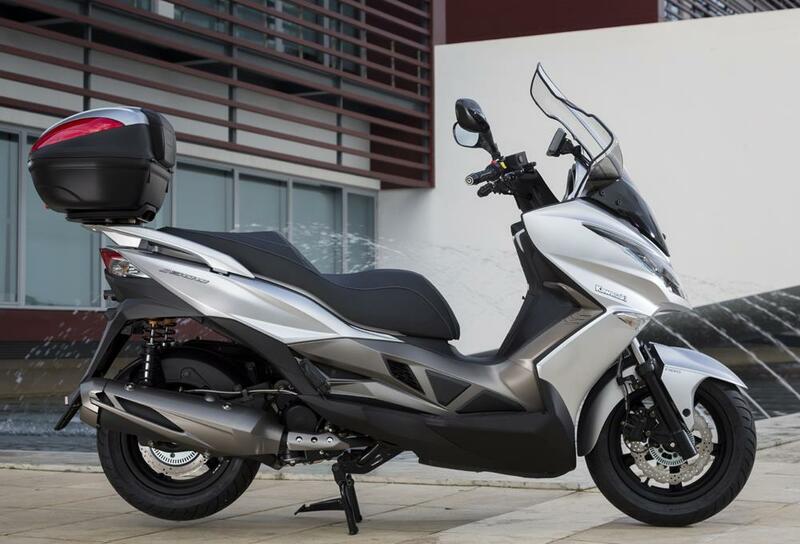 The J300 is based heavily on the Kymco Downtown 300, a Taiwanese scooter, but the fact Kawasaki are willing to partner with Kymco and put their name on it suggests they're confident with the quality. The scooter feels well made, but only time will tell how it copes with winter. The ABS version will go on sale in limited numbers for £4,499, which represents fairly decent value in the mid-range scooter market. There are cheaper scooters of a similar capacity available, but few of them have ABS. If ABS isn't a deal breaker there's the SE model priced at £4,149 and the standard model priced at £4,049. Equipment is fairly basic, offering the usual scooter practicalities. Under the seat there's enough room for a full face helmet and A4-sized briefcase. 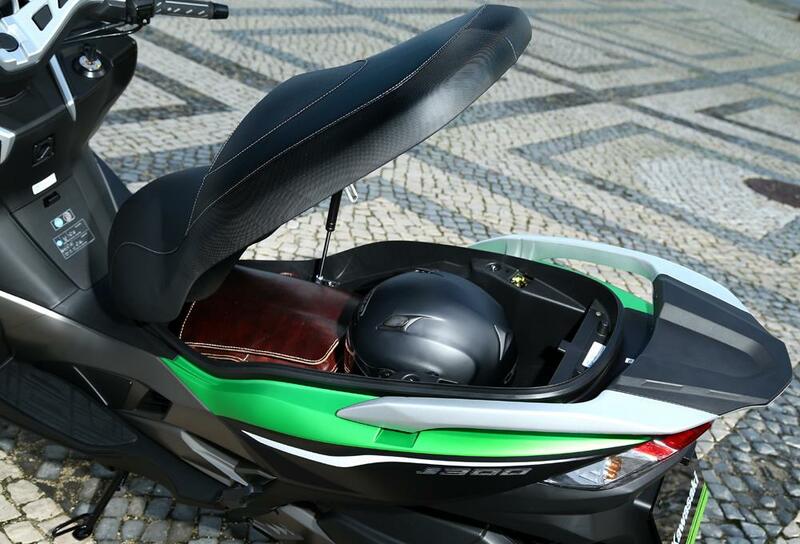 The seat is held up by a hydraulic arm, while there's also an internal light activated by a light sensor. It's a nice touch but may struggle in the dark since it relies on light to work. 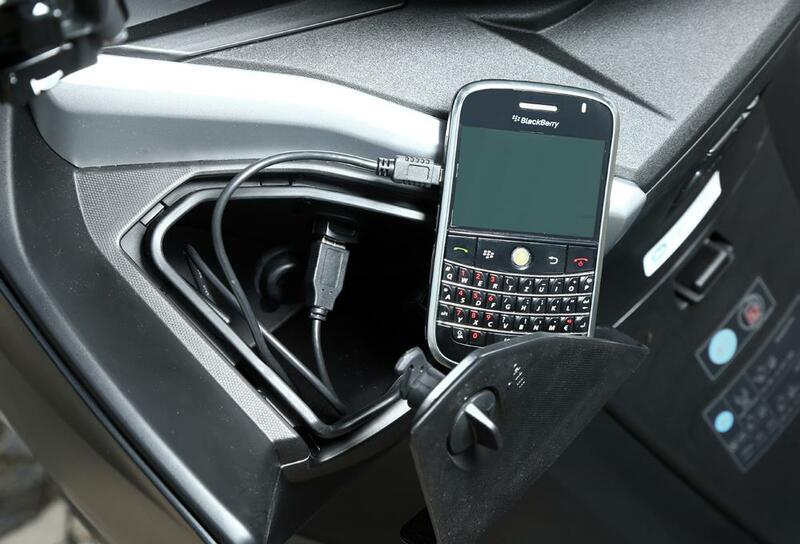 There's a lockable glovebox underneath the left handlebar which is big enough for a wallet and phone and includes a 12V socket. 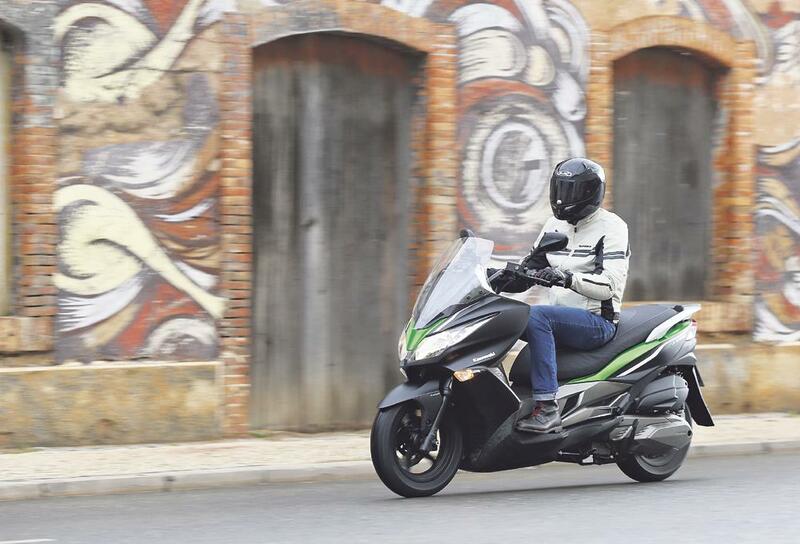 The 2019 Kawasaki J300 is available in two colour options to match the Kawasaki J125. The black and green option remains from the original range, and Khaki and Metallic Moondust has been added. 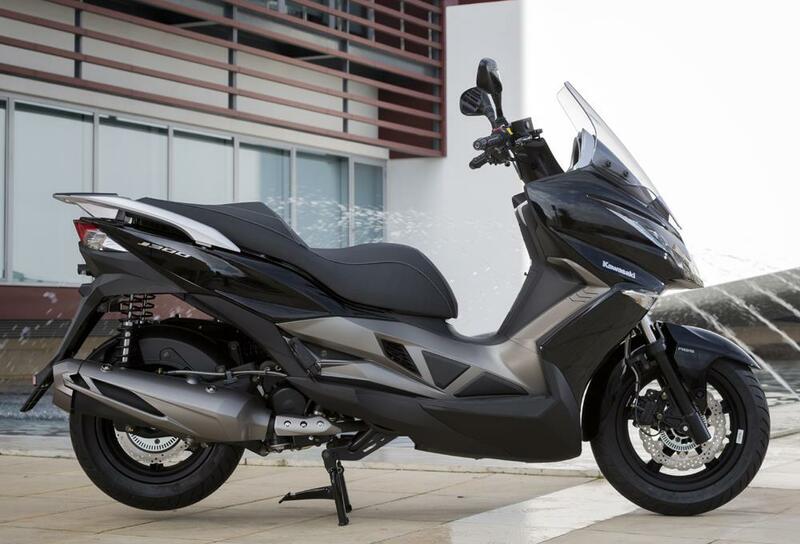 Kawasaki J300, available in Metallic Anthracite Black or Metasatin Silver, priced at £4,049. 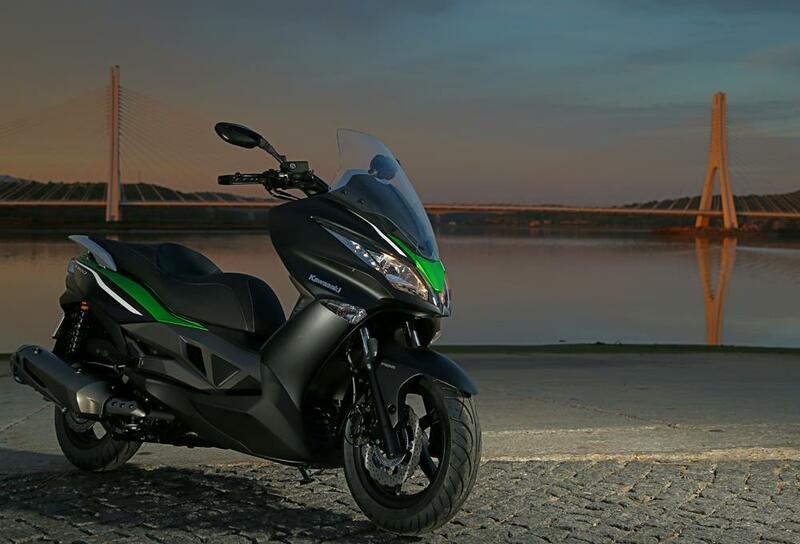 Kawasaki J300SE, available in Metallic Anthracite Black/Candy Flat Blazed Green, priced at £4,149. 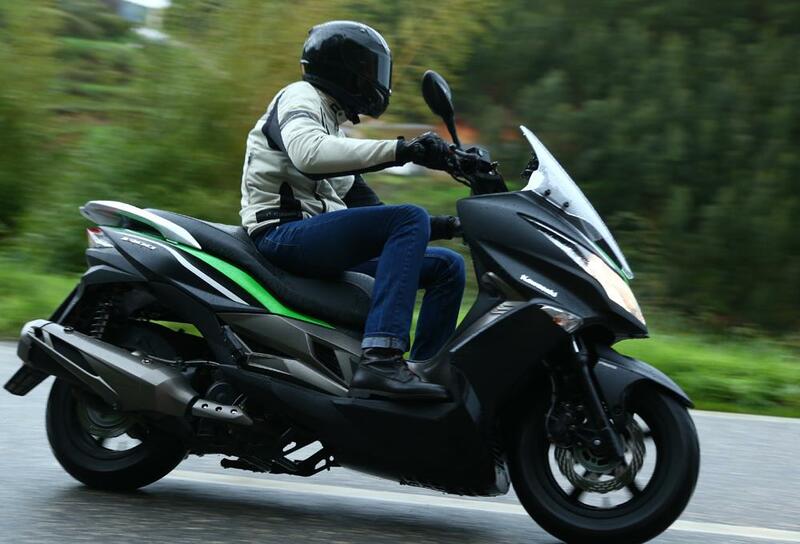 3 owners have reviewed their KAWASAKI J300 (2014-on) and rated it in a number of areas. Read what they have to say and what they like and dislike about the bike below. 3500 miles in the first five weeks. Long journeys?... No problem. I travelled through Holland, Germany, Austria and Czech Republic on mine... I had two days that were 500 mile each. I have never been as comfy on a motorcycle. It's an absolute missile after my Cygnus 125. It is a lovely power delivery, just about right in all ways. No problems so far... service intervals are short though. ABS came in handy on one occasion...the power outlet was invaluable. Unfamiliar lands and language meant that a sat-nav was more than just useful. The 12v outlet made this easy. The storage under the seat was enough for my tent, sleeping bag, sleeping mat, wash bag, locks and spare bulbs. A top box mounting plate fits easily onto the flat space between the pillion handles...you simply remove a plastic cover. Easy, from Colin Appleyards in Keighley. Interest free credit too. Effortless & practical. My first scooter and I can't fault it. Agile enough in the city but powerful & comfortable enough on the motorways, even two up. Very smooth & quite torquey for a small capacity. Pretty quiet too. Some corrosion on the fasteners, seat takes a bit of force to engage lock. Other than that all good so far. Charger, centre stand, ABS, under seat storage light etc. 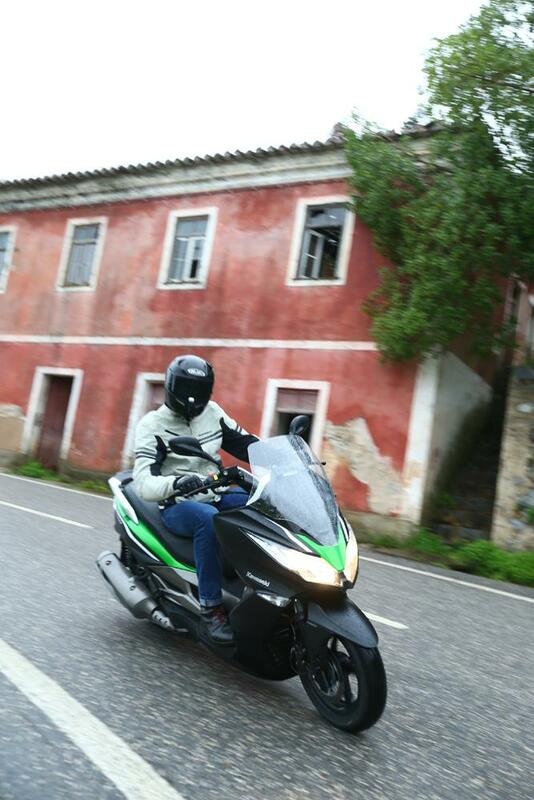 The bikes best features has got to be its practicality, comfort and its power (for what it is!) The seat is the comfiest I have ever been on. 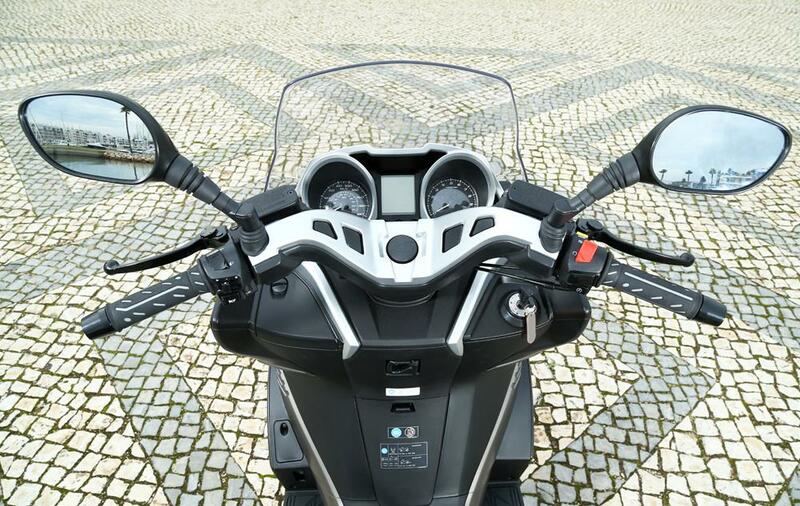 its a real pleasure to ride with the handlebars positioned perfectly for a very comfortable ride. Mine has a double helmet top box which doesnt look out of place. I can store soooo much especially with the underseat storage. Honestly its quite amazing at what you can carry. The speed of this little 300 engine doesnt seem real. It is so much more then I expected, I lose most bikes on the twistys, and on A roads it sits comfortably around 85mph and can be pushed upto 100 mph!! The worst things on the bike if we are being niggly is the seat latch, the hydraulic rod for holding the seat up and the brakes. The seat has two latches, one either side but mine ever only secures to one. Its not a big issue but it is very common and leaves you feeling like its not as well built as it could be, It has a hydraulic rod to hold the seat up. Its a gimmick, most scooter seats stay up when there at the vertical anyway. With this rod fitted it restricts how high the seat goes up and can be fiddly getting your belongings in and out. I feel I can only describe the brakes as adequate. I had one occasion when I needed to stop FAST, I feel I was let down and had to take the bike on an evasive manoeuvre across some long grass to avoid a head on. Generally the brakes are progressive and enough but for them life changing scary moments they just don't cut it. The engine is perfect. Better even. Overtakes are easy. It pulls so well. I would be more then happy to go touring in this. A brand new bike that hasnt covered 1500 miles and.... The seat only locks onto one of teo latches. It has stalled 3 times on me. On occasions it turns over but wont fire. You have to turn everything off. And then try again. Its not frequent but it does happen. Ocerall Im pleased with everything else but coming from a Honda I notice the little things! The mpg is fantastic for the performance you get. Whilst I was running in I averaged 90 mpg. Now I thrash it around I still get a very reasonable 75-80 mpg. And thats true Mpg from the pump. I do ride mine very hard too. It is however let down by the frequency of servicing. Its recommends serving every 3000 miles or 3 months. Come on Kawasaki we want more then this! Very good equipment. Centre stand, clocks, 4 trip meters. hazards. More than enough to be honest.